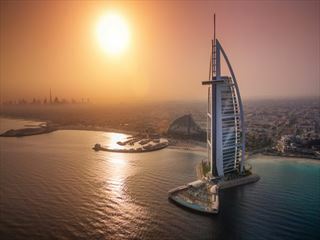 Take in the two most vibrant cities in the UAE with this ten-day multi-centre holiday in Abu Dhabi and Dubai. 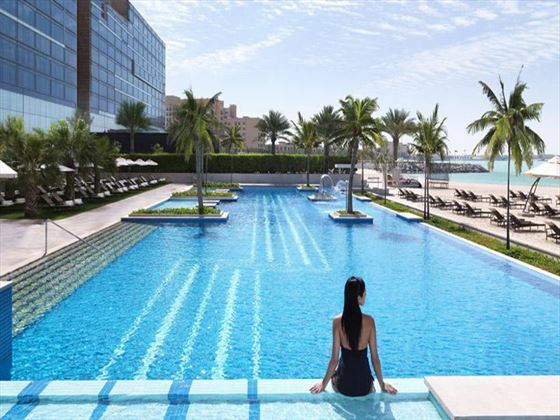 Flying in to a seafront hotel in Abu Dhabi, you'll spend five nights here enjoying the sights before heading over to Dubai to experience a very different but equally wonderful city for the remainder of your holiday. From beautiful beaches and towering architecture to world-class shopping and authentic cuisine, this trip ensures you'll have the chance to really immerse yourself in the heritage and culture of these two unique destinations. 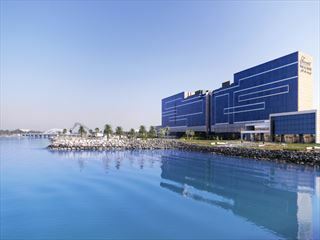 Begin your trip in Abu Dhabi where you’ll check-in at the Fairmont Bab Al Bahr for a five-night stay. Elegant yet contemporary, Abu Dhabi is a mix of modern and cultural, with gorgeous beaches and a fascinating heritage that is infused into the architecture and attractions. 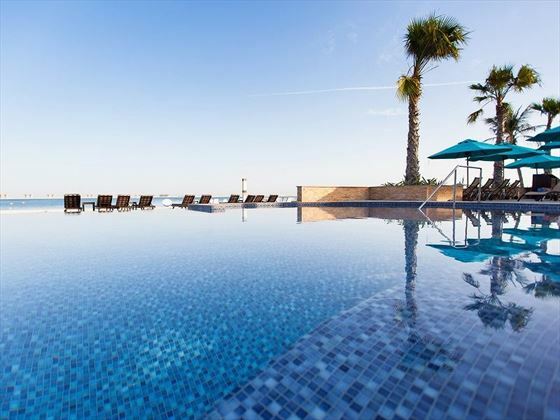 On day six you'll transfer to JA Jebel Ali Beach Hotel in Dubai. 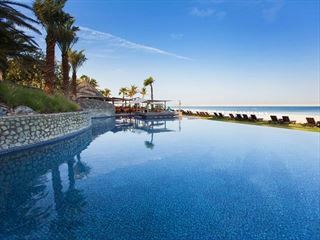 Dubai is an exhilarating city with a wealth of attractions and activities to enjoy. Head to the traditional souks to pick up souvenirs and sample authentic cuisine, visit some of the landmarks of the city or head to the beach and relax in the sunshine. JA Jebel Ali Beach Hotel is just a short distance from the heart of the city, making it ideally suited to exploring the sights, going shopping or enjoying the many restaurants and cafés. The hotel offers a great selection of activities to make the most of as well as comfortable rooms and a host of restaurants and bars. Today is the last day of the trip – make your way to the airport for your departing flight. 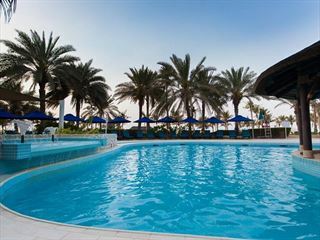 JA Jebel Ali Beach Hotel is a family-friendly resort set in a quiet district of Dubai. It is ideally located far enough away from the bustle of the city center, but close enough to get to for shopping trips and sightseeing. There’s something here for you no matter your interests or your idea of fun. 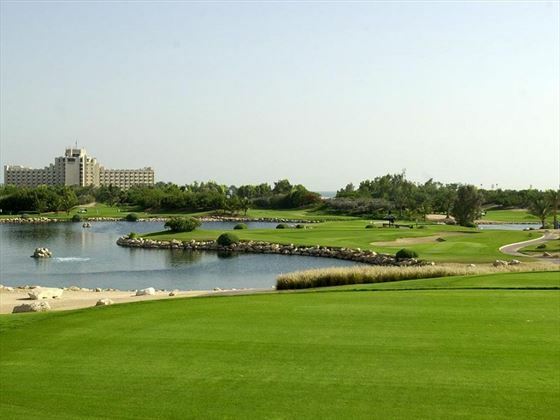 For the children (or just the child in you) there is a free shuttle to the Aquaventure waterpark and for the keen golfer there is a nine-hole championship course. For the wellbeing-conscious there is a modern gym and a luxurious spa, and for the drained there is a stunning beach to relax on. There is a huge selection of restaurants and bars with options ranging from themed buffets, rustic Italian fare and Tex-Mex cuisine. And bringing children is a breeze too – there is the Cool Zone Children’s Club offering supervised activities and two dedicated children’s pools. 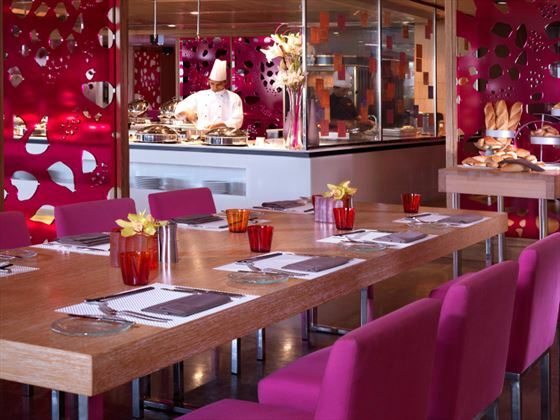 Top Tip: Tables at prime times in the a la carte restaurants get booked up quickly. Be sure to reserve your seats early to ensure that you don’t miss out. Why not visit JA Palm Tree Court, too? 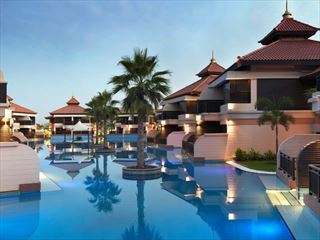 A brilliant 5* resort full of brilliant amenities, and a fantastic All-Inclusive basis.